Heather Giustino Blog: Save Evy's Tree! Hey friends! 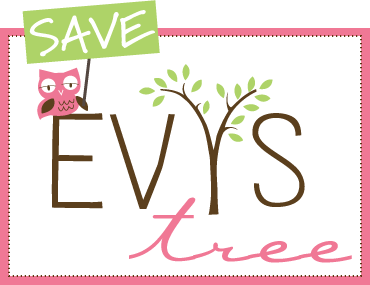 Today I wanted to ask you to help save Evy's Tree.....if you've been reading this blog for a while you've seen me post about Evy's Tree many times, as I just adore the Evy's Tree clothing, but even more than that I adore Amy, who runs Evy's Tree. Well, you guys, Amy needs our help. "I am going to sell everything I have, and I have 30 days to do it. I figure, I need to sell 1500 pieces... If I cannot raise the money, I have decided that closing Evy’s Tree might be the only option left." Please help if you can, friends! !